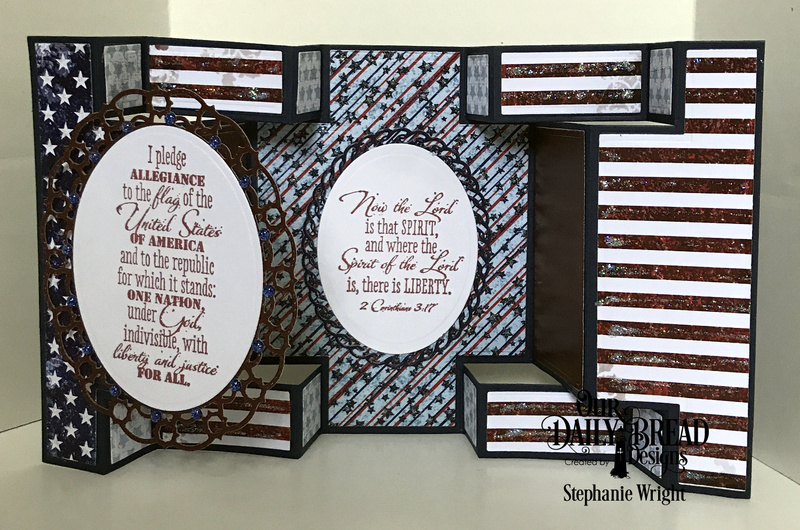 I am back with another card using the Double Display Card and Double Display Layers dies from the September release at Our Daily Bread Designs. This card also uses the Justice For All stamp set and the beautiful Stars and Stripes Paper Pad from this release. I am really enjoying working with all these products but I am really liking the quality of the papers. They have a nice weight and feel to them and are so easy to work with. The sentiments were stamped in dark red ink then die cut and embossed them with the Ovals dies. 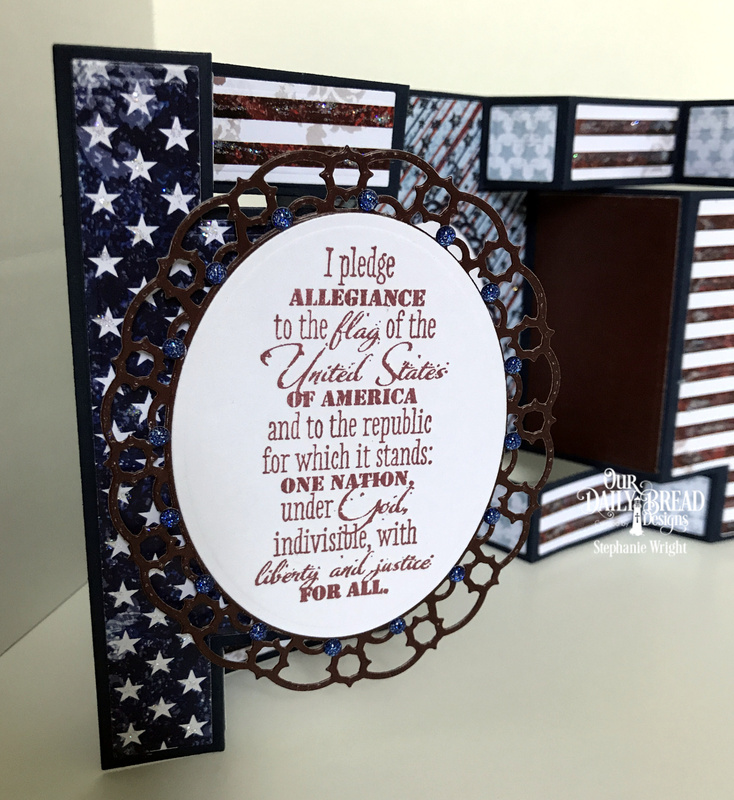 The largest two sizes of the Layered Lacey Oval Dies were cut, embossed and then used as mats for the sentiment panels. The largest Layered Lacey Oval die was used on the front. Enamel dots were used to embellish this frame. These dots have some sparkle to them. The stars on the front of the card and on the interior panel as well as the stripes were all accented with Star Dust Stickles. I wish the sparkle showed up well in the pictures. 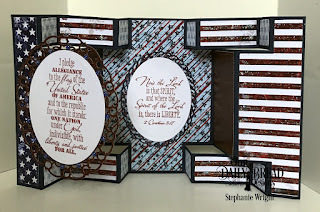 It adds a nice accent that doesn't take away from the Pledge of Allegiance on the front of the card or the Scripture verse on the interior of the card. Thanks for stopping by today. I hope you'll check out the entire September release. It's fantastic!! AWED! Just STUNNINGLY AMAZING and BEAUTIFUL. Truly tugs at my heart - love the sentiments together. Thanks bunches for entering our ATG challenge at Through The Craft Room Door this week. Sure hope you will remember us for our next challenge too! Xj.